Excellent Senior Move Manager. As a long-distance care-giver, I relied on Real Order to manage downsizing and moving my elderly parents from two homes into a much smaller retirement apartment. My parents were delighted when they saw how beautifully the apartment was organized and decorated after the move. Real Order did an outstanding job completing it all in six weeks with great care and compassion. They have my unqualified recommendation. Couldn't have done it without her. This month's newsletter focuses on a very special group of people we serve - older adults (aka seniors) who are downsizing and making the transition to the next phase of life. It may be a smaller house, an apartment in a retirement community, or assisted living. Typically these moves are harder for those involved - factors such as age, health and　emotions may enter in. Moves at this time of life require extra tender loving care from the family, community and professionals who are helping with this process. Some of my most memorable clients have been seniors and their families - and listening to their stories has made me a richer and better person. We will all be there one day ... and I hope when my time comes someone will patiently listen to my stories too. Making a major move at any age is difficult and stressful. Recognizing and managing the stress of relocating older adults is the hallmark of the National Association of Senior Move Managers. "When older adults making a transition have not moved in 30, 40 or 50 years they need to downsize considerably," said Mary Kay Buysse, NASMM's Executive Director. 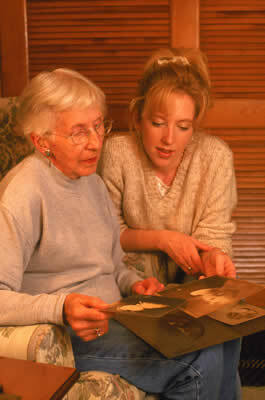 "It's so much more than just a move when you are helping older adults transition to a new home. The organizational and physical tasks coupled with the safety and ethical issues associated with implementing such a move can be overwhelming." NASMM members work with their older adult clients and families to reduce the stress and trauma that can accompany this type of move. The need for senior move management services continues to expand for numerous reasons. According to Buysse, "Adults aged 85 and above are the fastest growing segment of the US population. At the same time, social changes such as more women working full time have made it increasingly difficult for family caregivers to provide all of the support needed for these transitions. Additionally, many families are geographically dispersed and adult children are often not able to help with the moving process due to distance, career and family obligations. Many seniors have no surviving children, or increasingly, their children are older adults themselves. If illness or death precipitates the move, the family is likely already drained both emotionally and physically. They need help. Senior move management has emerged to fill these gaps and to facilitate the transition for everyone involved." Read on for more information and resources on senior move management, and learn how we can help. 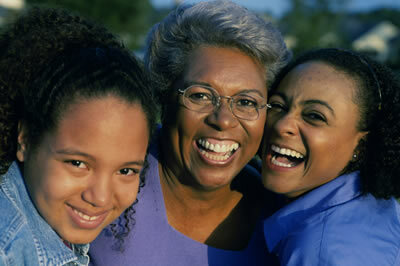 Over 40 percent of families who provide care for an elder have children at home under the age of eighteen. You're the caregiver for your parent(s) who needs to move out of their home of many years. You may be concerned they're no longer safe living in their home, or you live too far away or are busy juggling your own life to manage the many details of a move. You need someone you can trust to manage the details of your move and act as your advocate and guide. You want to simplify your life and move, but need a helping hand to make it a reality. Perhaps you don't have family or friends to help with a transition of this magnitude. 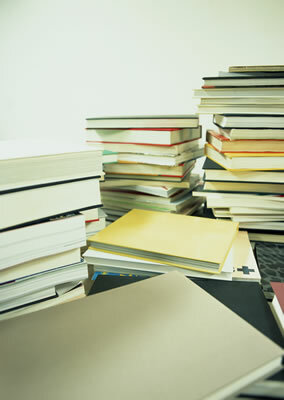 You need help organizing your important papers and estate documents. You don't want to leave your family with a mess to figure out on their own in the event of your incapacitation or death. Real Order can help. We have a passion for organizing and setting up systems for the way you live. As Senior Relocation Specialists, we use those skills to help older adults going through the transition of "Right-Sizing" their home and lives for today's needs. With patience and understanding, we assist seniors and their families with all aspects of downsizing and moving. If you're planning to stay in your home but need help to make it fit the way you live now, our Rightsizing Your Home services may be what you need. Through the years it's common to accumulate many possessions and our home becomes overcrowded. We can help open up the space so it's safe, comfortable and organized. Estate planning is essential, but especially for people in the later years of life. To meet this need, Real Order offers Estate Organizing. We help by setting up an organized system that includes all the information your family would need in the event of your illness or death. Organizing your estate is like a "love letter" you give to your family. It will give you (and them) peace of mind knowing that everything is organized and easily accessible. We can even refer you to qualified professionals to fill in the missing pieces of your estate plan. Caring for a parent can be an enormous undertaking, and while sharing the responsibility with a sibling case ease the workload, it can also lead to family conflict. That's why the Home Instead Senior Care� network developed the 50-50 RuleSM program. The 50-50 Rule refers to the average age (50) when siblings are caring for their parents as well as the need for brothers and sisters to share the care planning responsibility 50-50. A downloadable guide is designed to help adult siblings and their aging parents deal with those sensitive situations that arise among brothers and sisters as their parents age and need assistance. The guide covers a variety of sibling caregiving topics such as: How do you divide workload with your sister? What's the best way to build teamwork with your brothers? How can you reach agreement as a family on important topics to avoid family conflict? Research conducted for the organization reveals that an inability to work together often leads to one sibling becoming responsible for the bulk of caregiving in 43 percent of families. And that can result in the deterioration of relationships with brothers and sisters. If you and your siblings siblings are assisting with the care of your parents, it's time to develop a plan.